House Fires | CC&A Insurance Brokers (PTY) Ltd.
Insurance is a wonderful thing when it works but read the cause of this fire, you may be surprised. Please pass this one along to your family and friends. This photo was taken at the scene of a house fire that occurred. The original message was written by a lady whose brother and wife learned a hard lesson, their house burnt down.. nothing left but ashes. They have good insurance so the house will be replaced and most of the contents, that is the good news. However, they were sick when they found out the cause of the fire. The insurance investigator sifted through the ashes for several hours. He had the cause of the fire traced to the master bathroom. He asked her sister-in-law what she had plugged in the bathroom. She listed the normal things…curling iron, blow dryer. He kept saying to her, ‘No, this would be something that would disintegrate at high temperatures’. Then her sister-in-law remembered she had a Glade Plug-In air freshener, in the bathroom. The investigator had one of those ‘Aha’ moments. He said that was the cause of the fire. He said he has seen more house fires started with the plug-in type room fresheners than anything else. He said the plastic they are made from is THIN. He also said that in every case there was nothing left to prove that it even existed. 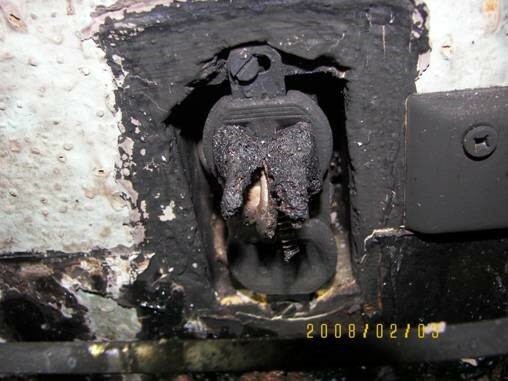 When the investigator looked in the wall plug, the two prongs left from the plug-in were still in there. Her sister-in-law had one of the plug-ins that had a small night light built in it. She said she had noticed that the light would dim and then finally go out. She would walk in to the bathroom a few hours later, and the light would be back on again. The investigator said that the unit was getting too hot, and would dim and go out rather than just blow the light bulb. Once it cooled down it would come back on. That is a warning sign The investigator said he personally wouldn’t have any type of plug in fragrance device anywhere in his house. He has seen too many places that have been burned down due to them.